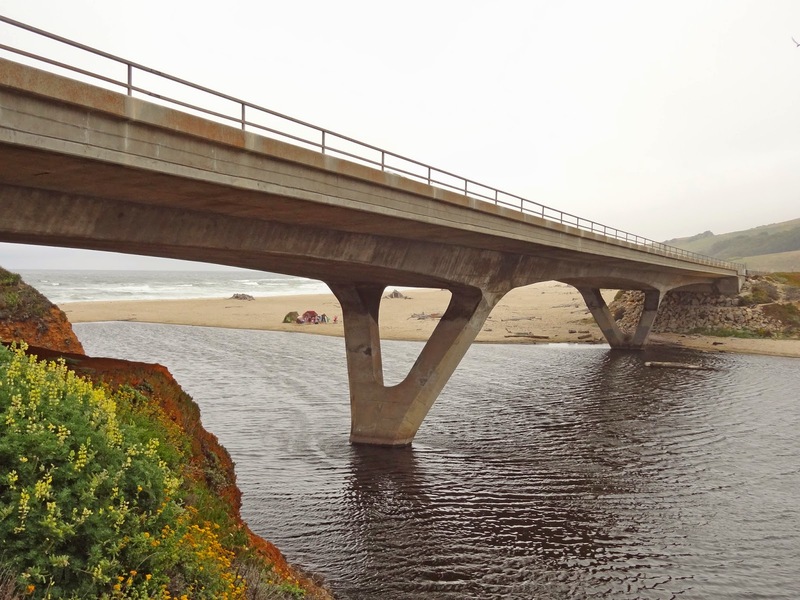 The Pescadero Creek Bridge (35 0028) is a 3 span 380 ft long structure that was built in 1991. It replaced a previous bridge built in the 1940s that was further upstream and had more piers that interfered with stream flow. The current bridge was built with only two columns and close to the ocean to minimize its impact upstream. Pescadero Creek used to carry steelhead and salmon but it has degraded over the last 100 years due to logging and development. San Mateo County, California Bridges: State Route 1 across Pescadero Creek (2) by Mark Yashinsky is licensed under a Creative Commons Attribution-NonCommercial-NoDerivatives 4.0 International License.